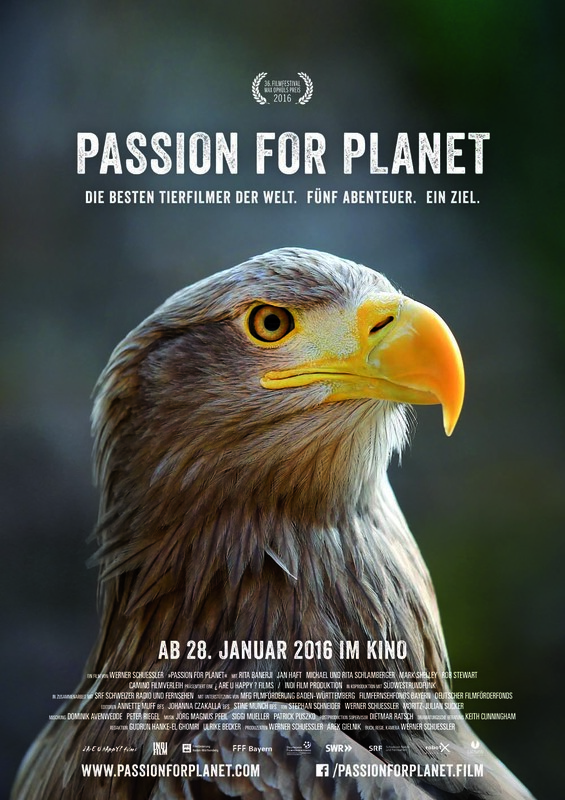 The theatrical documentary PASSION FOR PLANET extends the classic wildlife genre. It takes us on an adventure around the globe. In front of the most spectacular natural backdrops and wildlife observations, we dive into the universe of the world’s best wildlife filmmakers. With boundless passion and commitment they devote themselves to their deepest love: The natural beauty of Mother Earth. On occasions even risking their lives for it! However, their mission is now in jeopardy! When returning to the same places they can’t help but realize the alarming changes: The destruction and decline of our natural resources caused by the impact of man! Will they be able to save their love? We follow our five protagonists during their stirring and fascinating transformation from innocent nature lovers to resolute fighters. We are with them in their personal quest for answers. 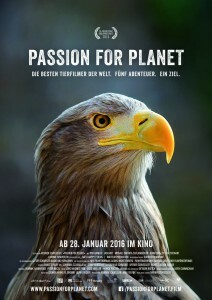 PASSION FOR PLANET takes us on a journey around the world. From the most remote unknown territories to the places of political power. We travel with Canadian shark lover Rob Stewart ( “Sharkwater”, “Revolution”) to South Africa and to the Earth Summit, with American eco rebel Mark Shelley (“Strange Days on Planet Earth”) on to well-organized California, with Bavarian genius Jan Haft (“The Green Universe”, “Myth of the Forest”) to hardly known places in Germany, with India’s most acclaimed female wildlife filmmaker Rita Banerji (“Wild Meat Trail”) to her vivid and chaotic homeland, and with Austrian couple Michael and Rita Schlamberger (“Danube”) to flooded Zambia. Finally, the dramatic stories are merging at the climax. The movie will infect the audience: With new passion for life and our own liveliness. And with a new perspective of Mother Nature and our place with her.